Gloriously irresistible fresh-baked sourdough bread will soon be available at Almaden Plaza Shopping Center in San Jose. Boudin Bakery CEO Sharon Duvall today announced that the company will open its 11th Northern California Boudin SF location in Almaden Valley on March 19. Boudin SF is a convenient, casual-dining restaurant where guests can enjoy breakfast, lunch and dinner. Residents of San Jose who have long enjoyed The Original San Francisco Sourdough™ can soon savor the unforgettable experience of breaking open an aromatic loaf in a new location close to home. Almaden Plaza Shopping Center marks the company’s second San Jose restaurant and follows the opening of Boudin SF in West Valley Center last April. When Boudin SF at Almaden Plaza opens its doors to the public on March 19, the first 100 guests in line will win a year’s supply of The Original San Francisco Sourdough™. Boudin enthusiasts, affectionately known as “Bread Winners,” often camp overnight to ensure a spot in line and may begin queuing up at 5:00 p.m. on March 18. Boudin SF has reserved the first place in the Bread Winners line for Second Harvest Food Bank, a local non-profit that provides food to nearly one quarter of a million people each month and is one of the largest food banks in the nation. Boudin SF has long been a supporter of food banks and regularly donates fresh bread to local charities. Ideal for breakfast, lunch and dinner, Boudin SF features a comprehensive menu of both healthy and hearty fare to delight a variety of palettes. Boudin SF’s attention to detail shines through in every dish. Seasonal, organic, and locally-sourced ingredients are used whenever possible. Boudin SF’s wide variety of sandwiches are a delicious and convenient option for lunch or a picnic. Guests may also choose from perennial favorites such as Chicken Pesto with chicken breast, tomatoes, arugula, pesto mayo, and balsamic vinaigrette on a sourdough baguette or the California Veggie with Havarti cheese, avocado, red peppers, cucumbers, lettuce, red onion, tomatoes, sun-dried tomato spread, and balsamic vinaigrette on multigrain bread. 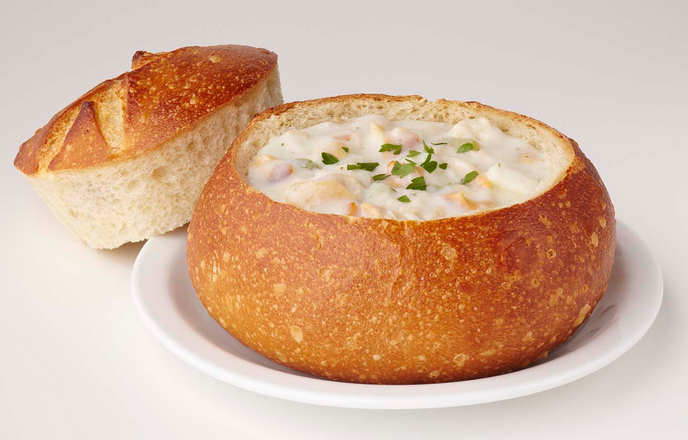 After a day of shopping or hiking, Boudin's classic New England-style Clam Chowder or Butternut Squash Soup in a signature sourdough bread bowl is warm and filling. 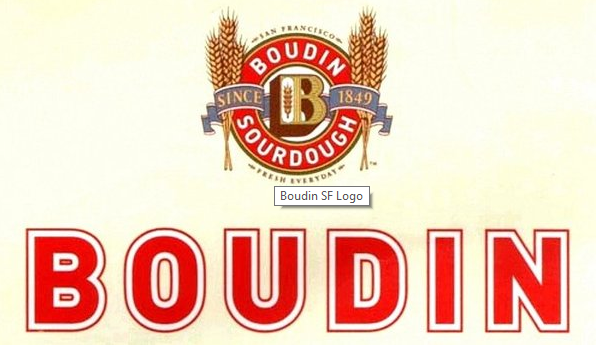 Boudin SF is perfect for busy families and professionals. Stop by for a quick dinner or linger over a glass of beer or California wines. For a quick breakfast after dropping off the kids at school or an early morning workout, Boudin SF has everything from Vegetable Scrambles to Sourdough French Toast. Boudin SF also offers Web-to-Go service, allowing customers to place an order in advance and then pick it up quickly on the way to the park, office or home – no waiting in line. Available online at: www.boudinwebtogo.com. Boudin SF at Almaden Plaza Shopping Center is located at 5353 Almaden Expressway in San Jose, CA 95118. Telephone: 408-513-1050. Open Monday through Saturday from 8 a.m. to 9 p.m., and Sunday from 8 a.m. to 8 p.m.
Headquartered in San Francisco, Boudin Bakery is world-famous for The Original San Francisco Sourdough™, which is baked with the same Mother Dough, or sourdough starter, used since 1849. Born in the Gold Rush, Boudin is the oldest continuously operating business in San Francisco. Because each loaf is made from a portion of the original sourdough starter, Boudin Sourdough is one of a kind. With its delicious tangy flavor, golden crunchy crust, and soft chewy center – along with its famous aroma – it has been described as “a sensory experience in a simple loaf of bread.” Boudin SF is a convenient, casual-dining restaurant with locations throughout California where guests can enjoy breakfast, lunch, and dinner. Boudin at the Wharf, located in the heart of San Francisco’s renowned waterfront, is Boudin’s flagship facility and home to Bistro Boudin, Boudin Museum & Bakery Tour, a demonstration bakery, Bakers Hall Marketplace and a Boudin Café. Boudin bread can be purchased at the Wharf and all Boudin restaurants located throughout California. Boudin also offers catering and operates a gift catalog business, which can be found online www.boudinbakery.com. It used to be open at Pavilion at the corner of Paseo and First st. back in the late 80's to early 90's before it closed due lack of popularity and weak demand.